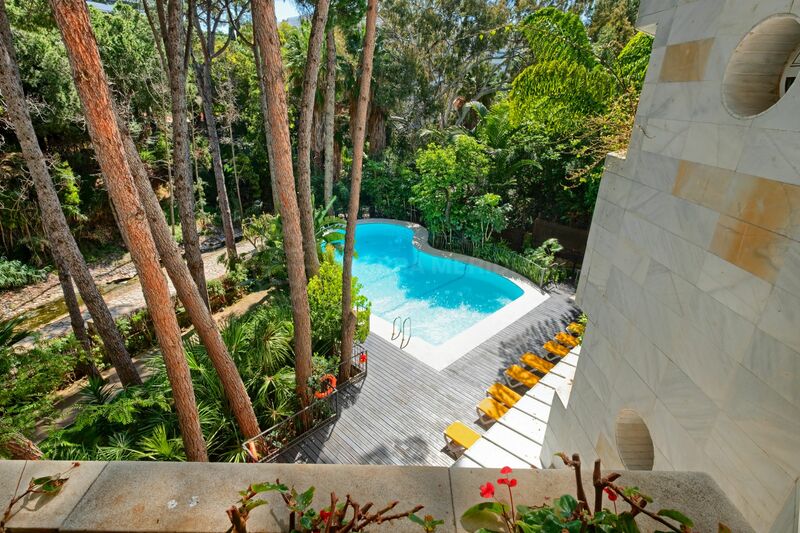 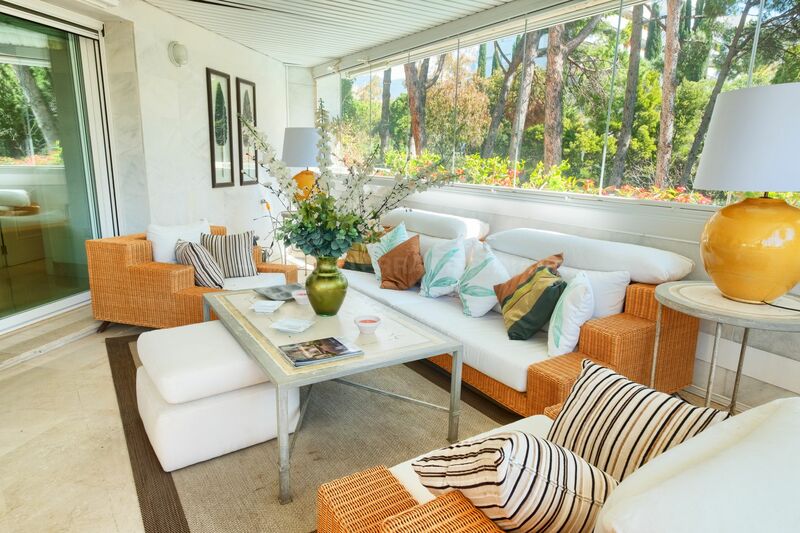 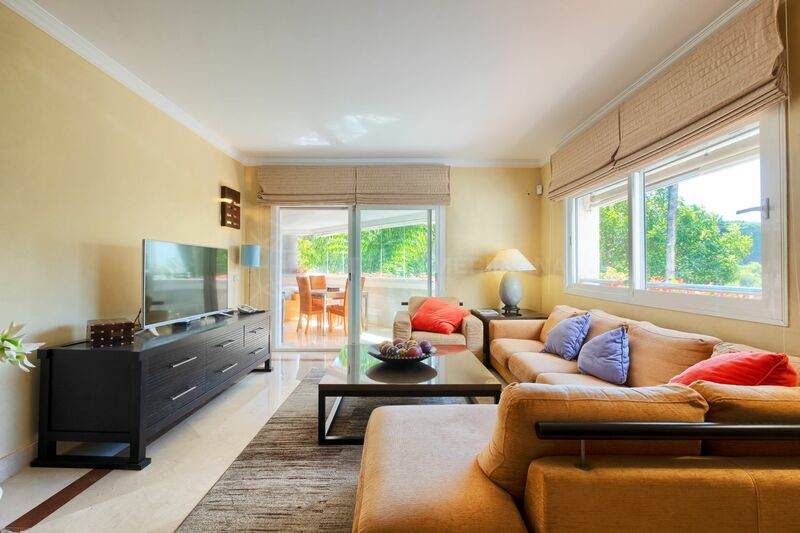 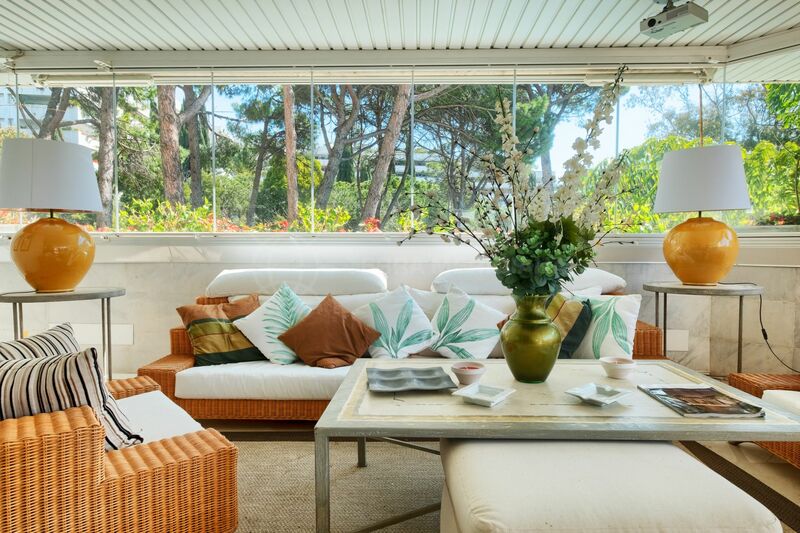 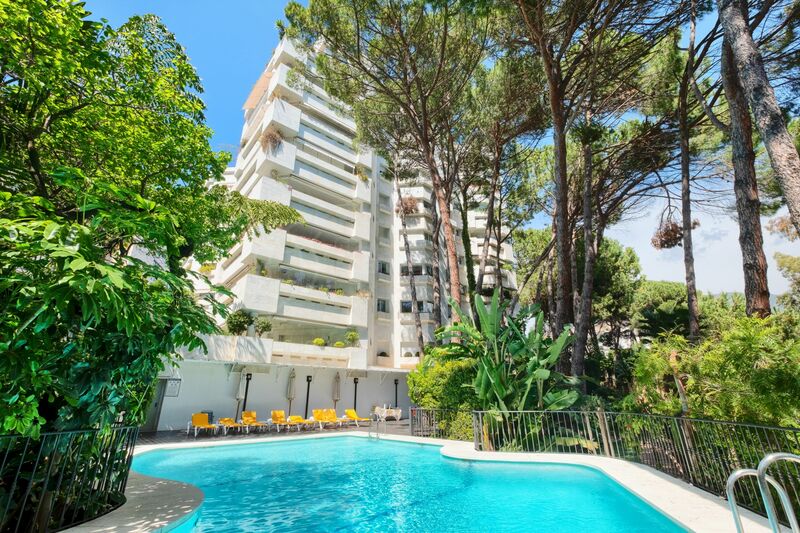 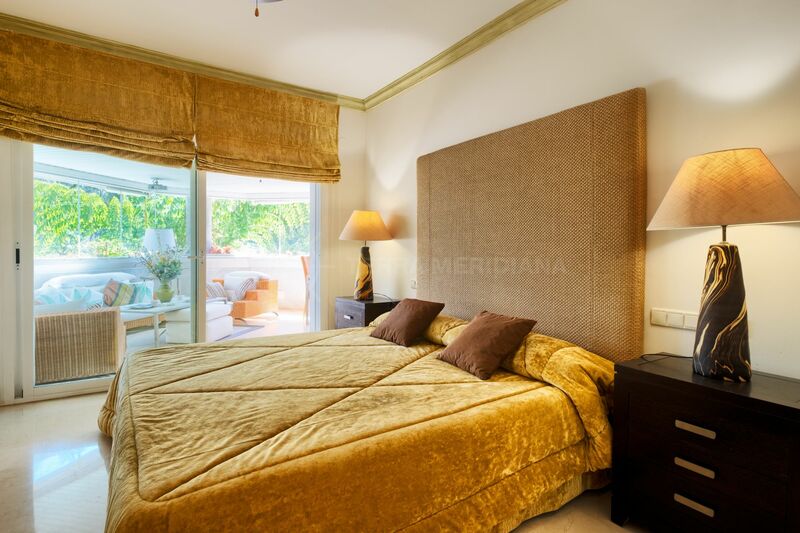 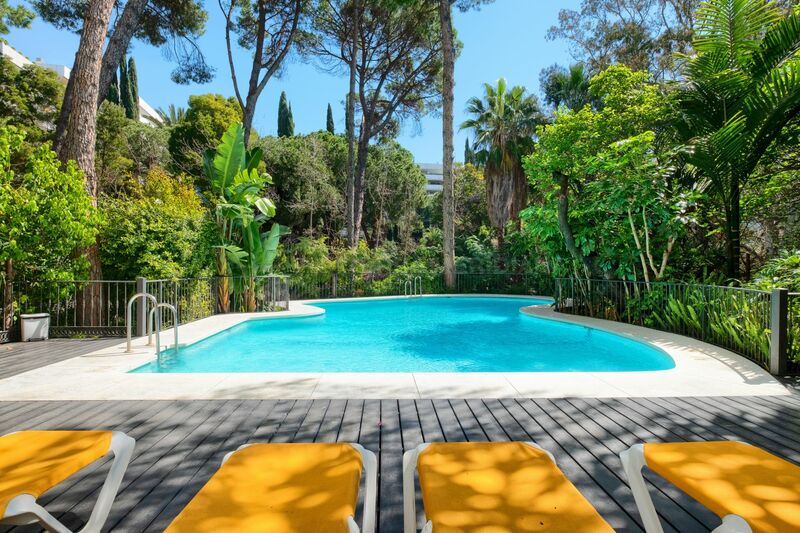 Located in the ultra-exclusive community of Jardin del Mediterraneo on the Marbella Golden Mile this south facing apartment showcases a layout that embodies comfortable Mediterranean living. 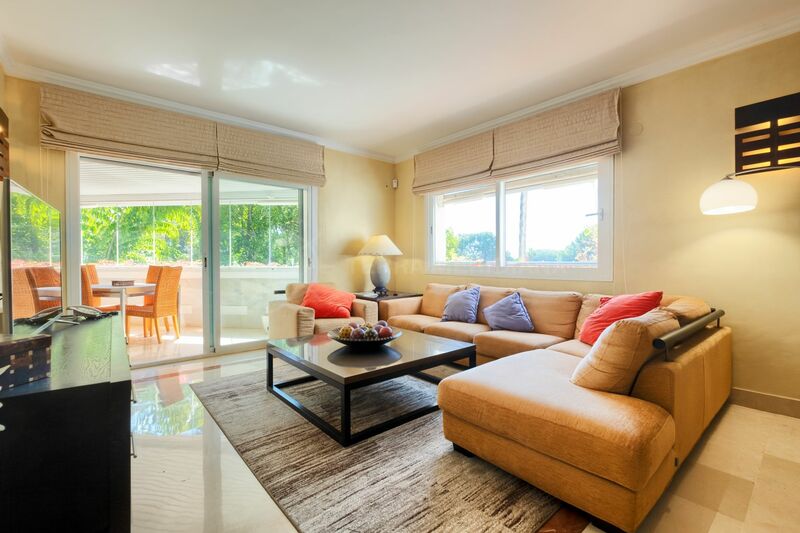 The property effortlessly blends the very best of cutting edge design and luxury amenities with an open floor plan. 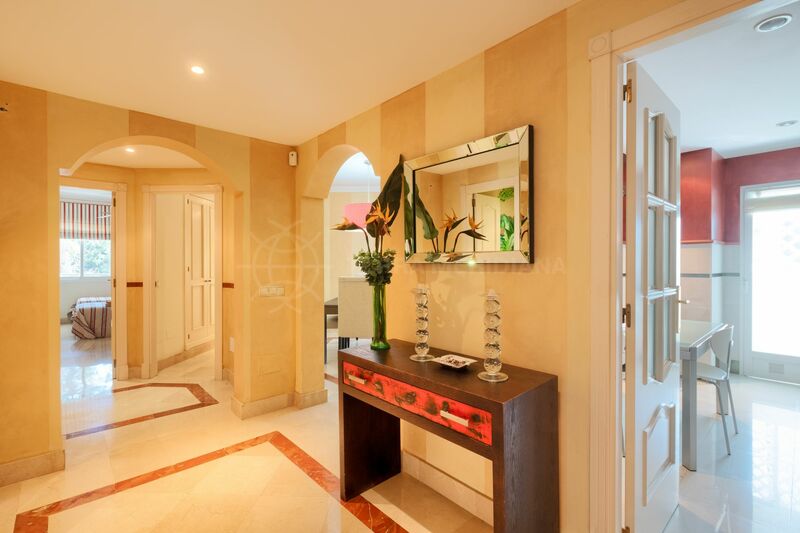 Entrance is through a hallway which opens to a spacious living/dining room leading out to the glass-curtained terrace which serves as a 2nd living area integrating with the surrounding nature amplified by lush professional landscaping. 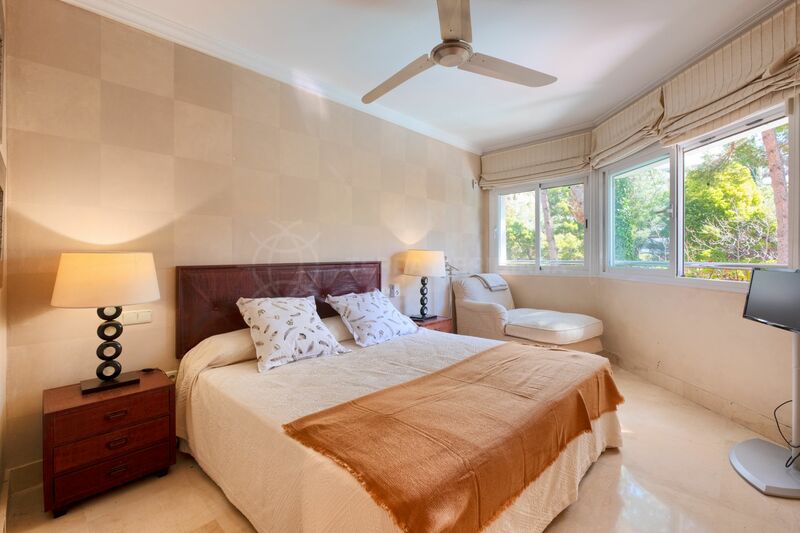 There is a fully fitted kitchen with Bosch appliances and laundry, an ample master suite, a guest suite, a guest bedroom with separate bathroom and a guest toilet. 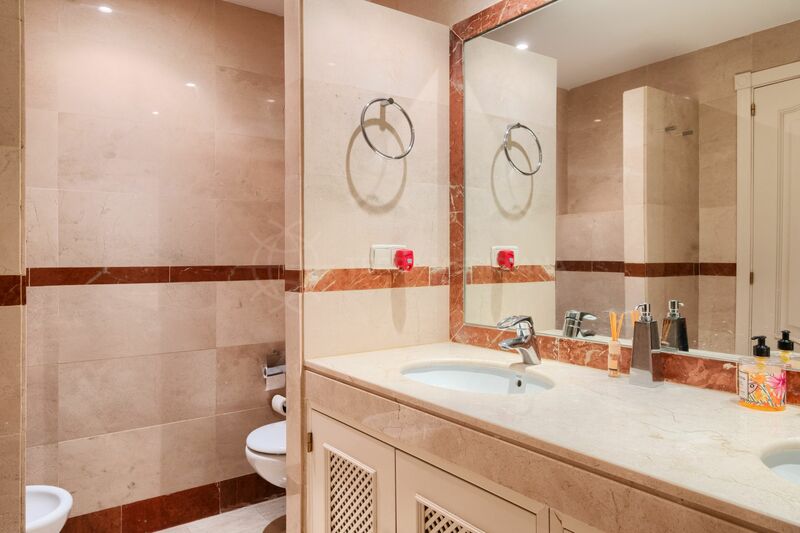 Notable design features include marble flooring, underfloor heating in the bathrooms, an alarm, a parking space and a storage room. 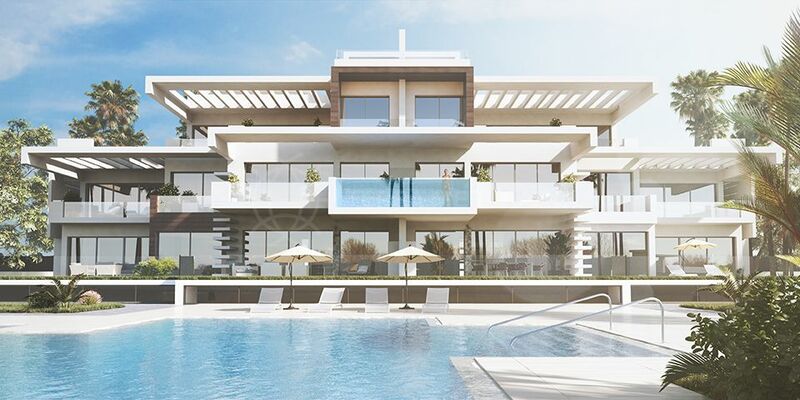 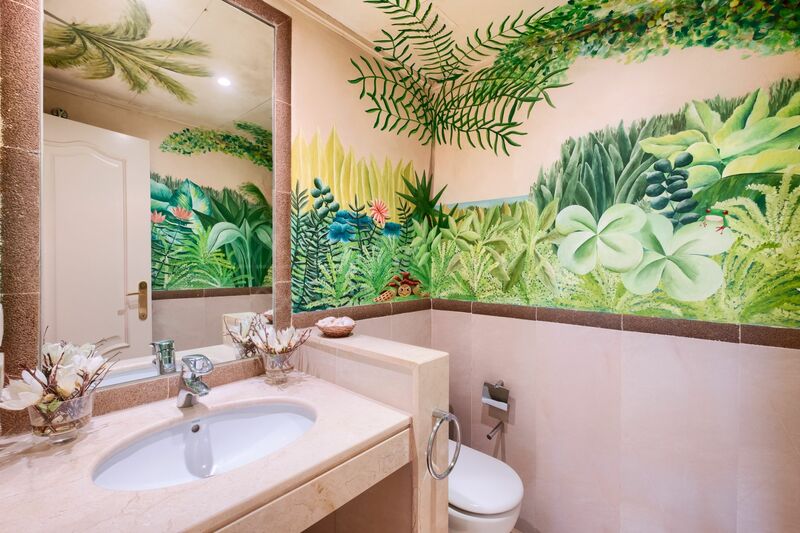 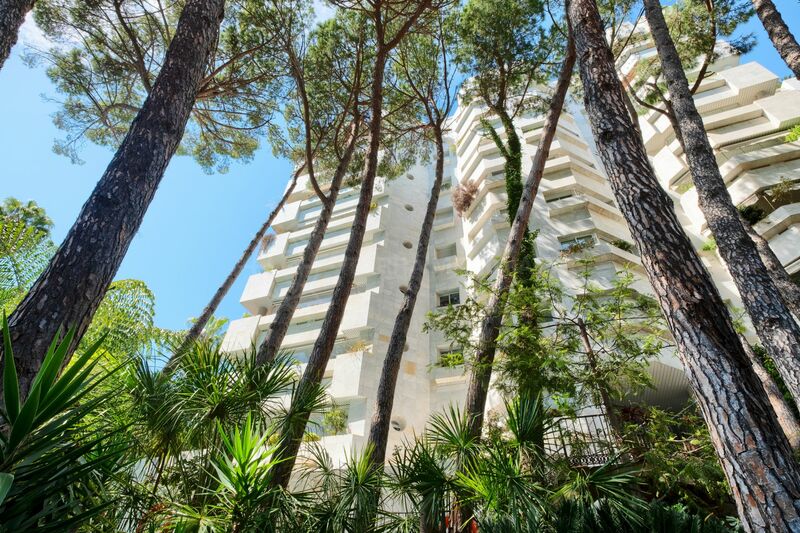 Jardin del Mediterraneo is a stunning upscale gated development with 24-hour security, CCTV security entry system, a concierge service, an adult´s swimming pool and children’s pool. 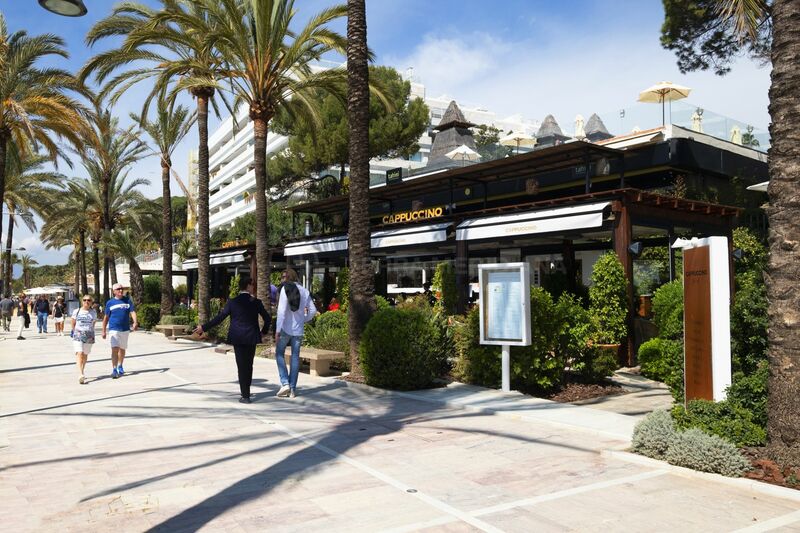 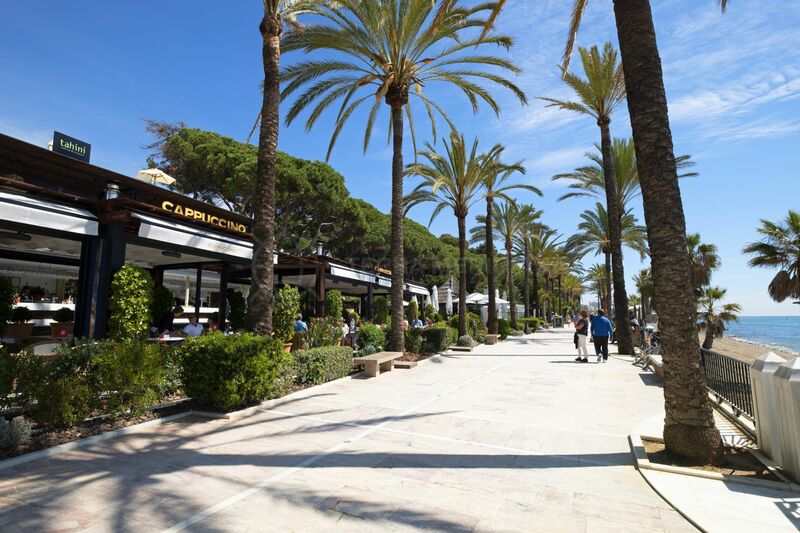 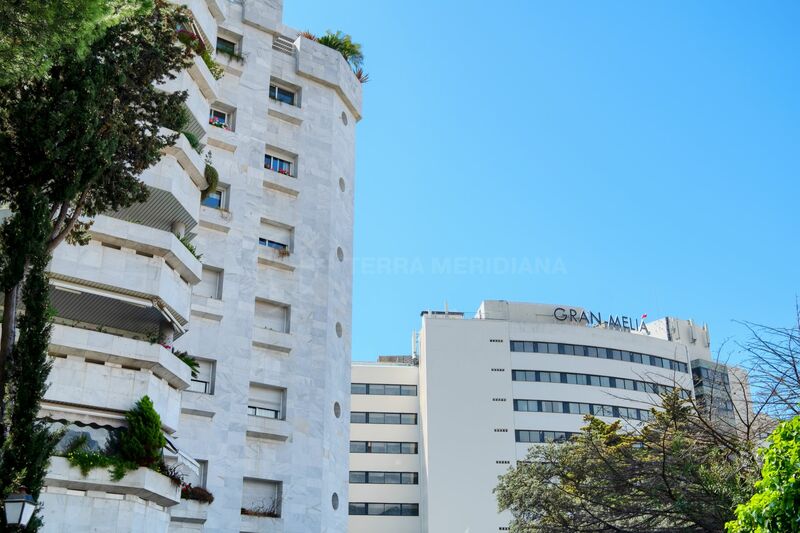 Next to the Gran Meliá Don Pepe hotel with several international restaurants and the trendy Cappuccino Grand Café overlooking the promenade and beach​. 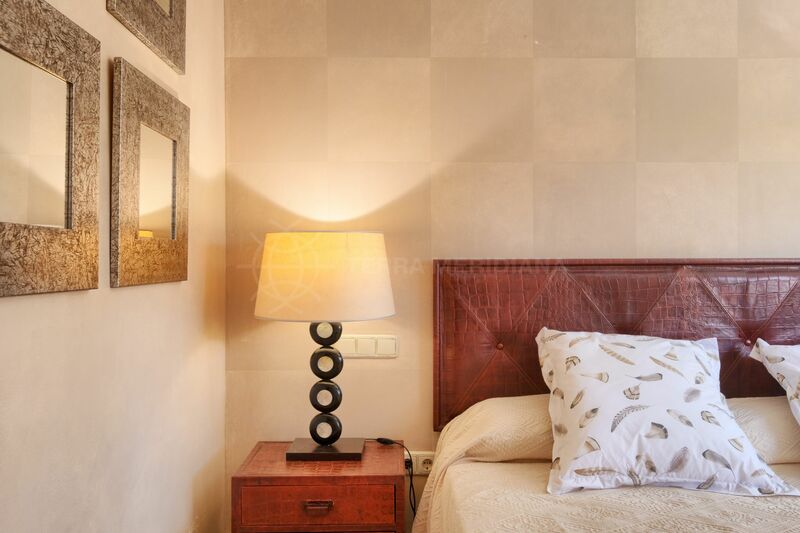 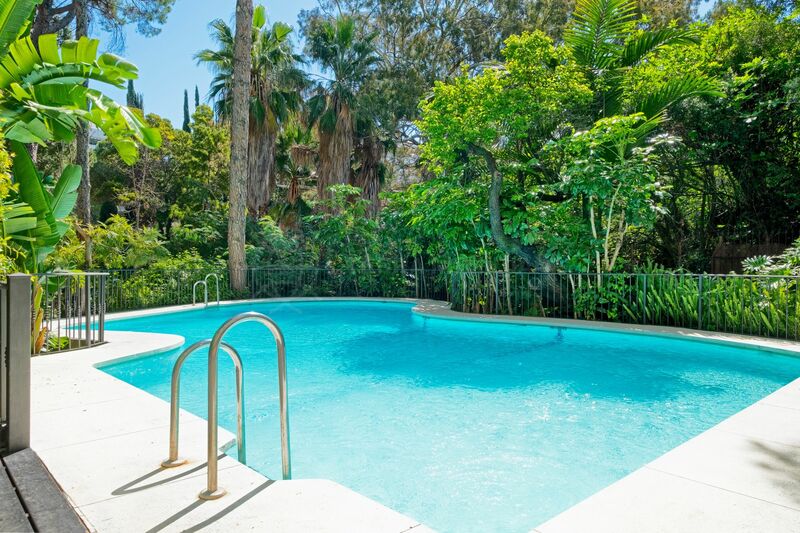 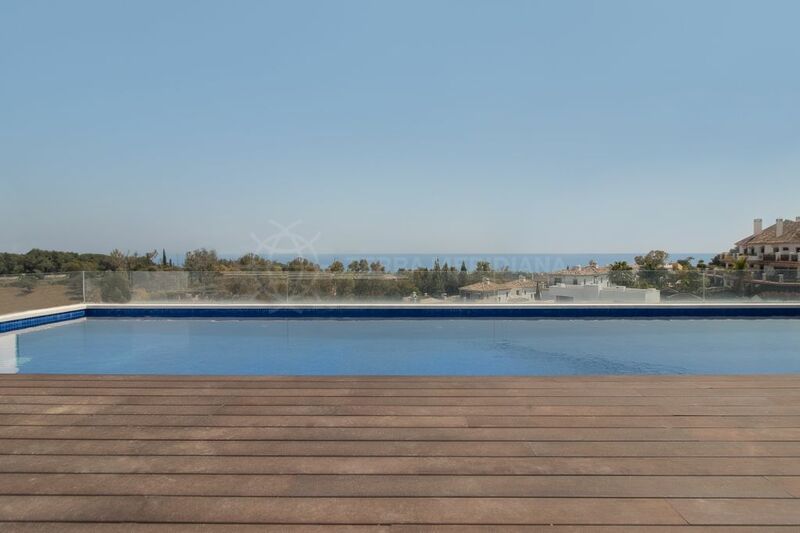 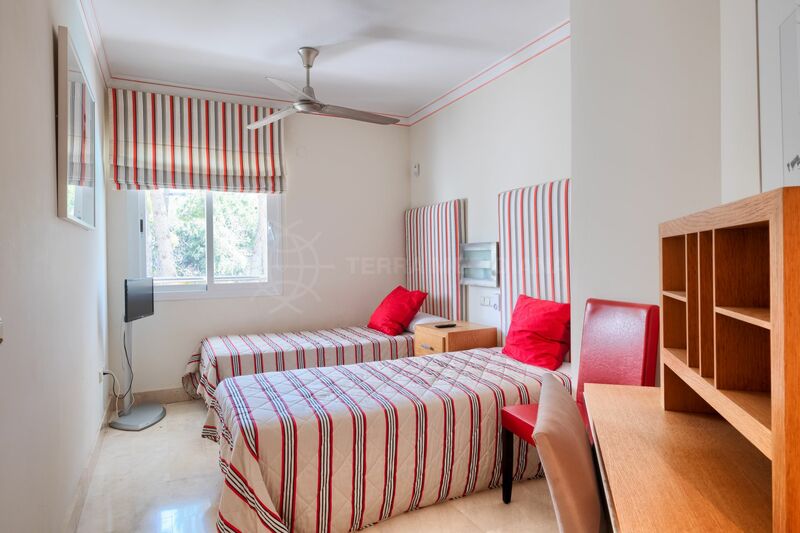 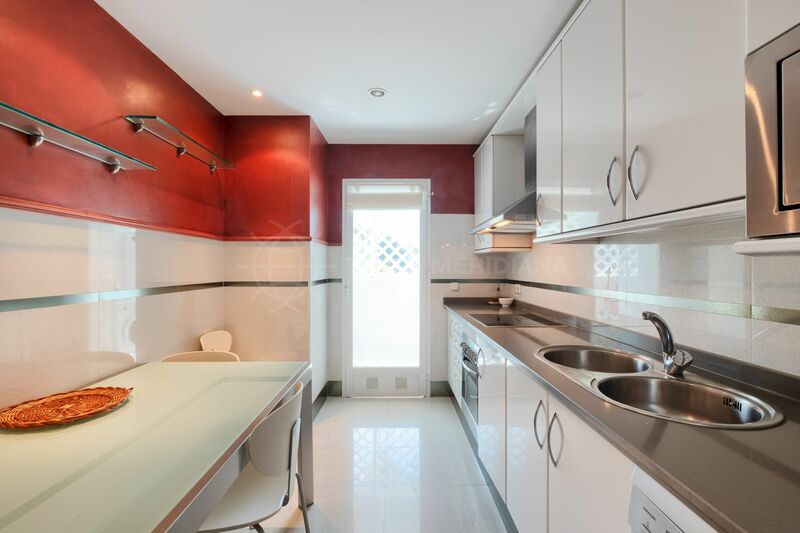 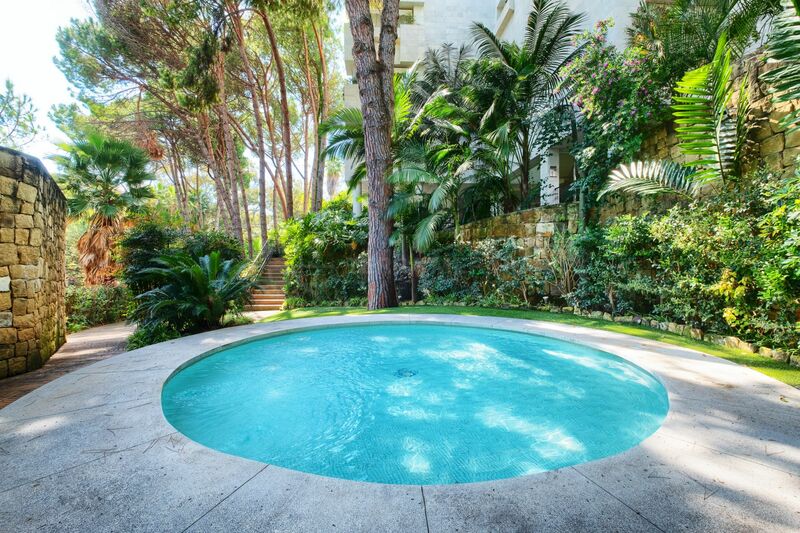 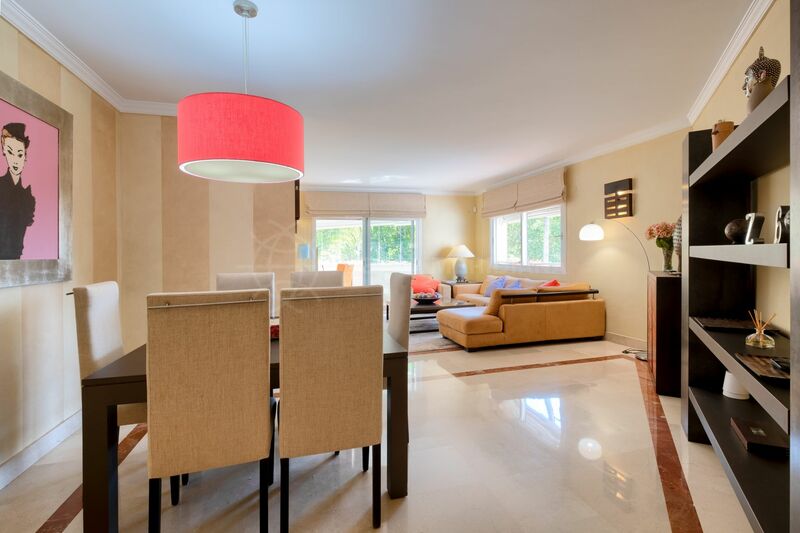 Within walking distance of Marbella Old Town, El Corte Ingles, Starbucks and all amenities. 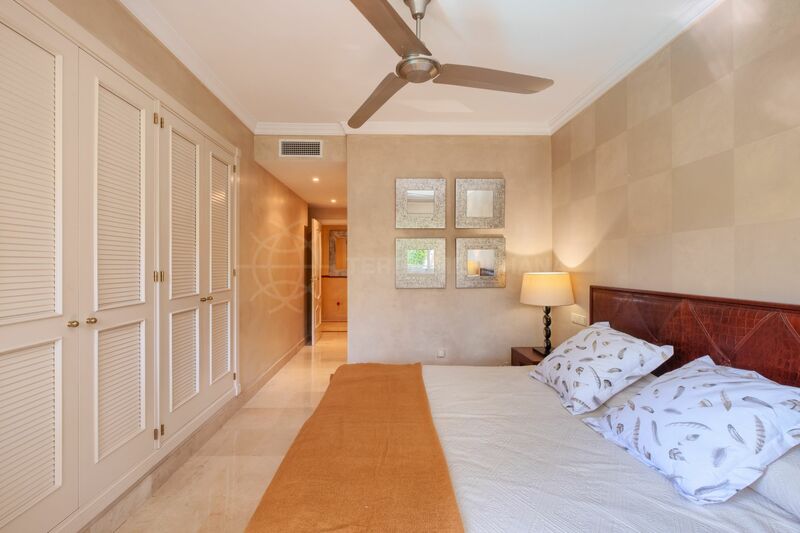 Approximately 10 minutes drive to Puerto Banus and 40 minutes to Malaga airport. 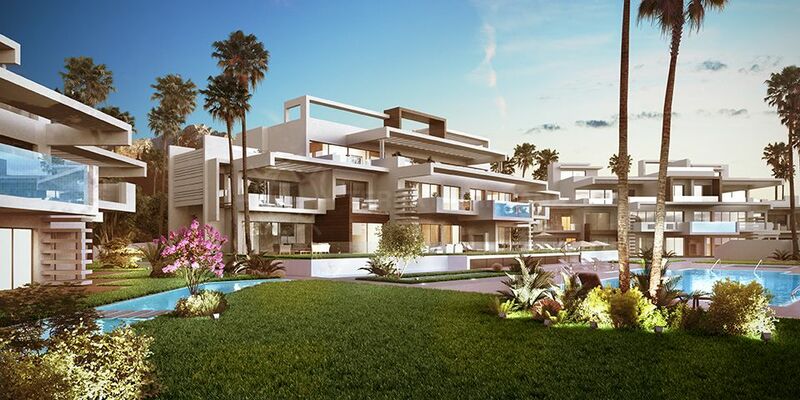 "Uncompromising quality creates the unfolding of a unique beachside oasis." 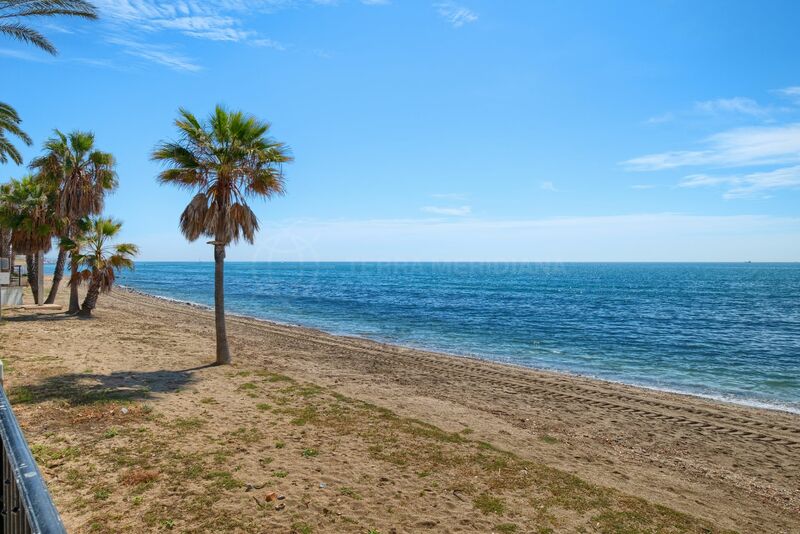 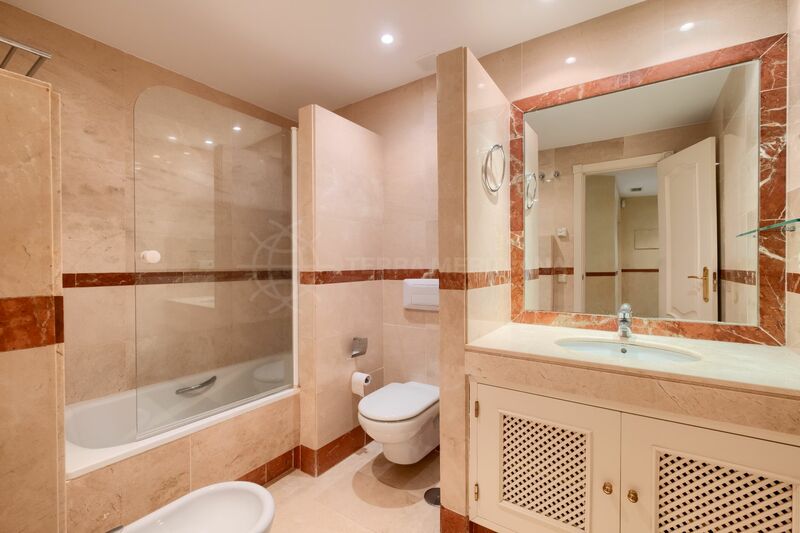 Please, send me more information about ref TMXA0710, Apartment in Marbella Golden Mile or similar properties.